AmeriCorps VISTA (Volunteers in Service to America) participants gain both education and work experiences that will be valuable tools for the rest of their lives. Not only do they serve to help Americans living in poverty but, they serve to shape their own lives as well. Part of the Corporation for National Community Service (CNCS), AmeriCorps includes the VISTA (Volunteers in Service to America) program and other national and state programs that address needs in education, the environment, poverty reduction, public health and safety, and disaster preparedness and response. 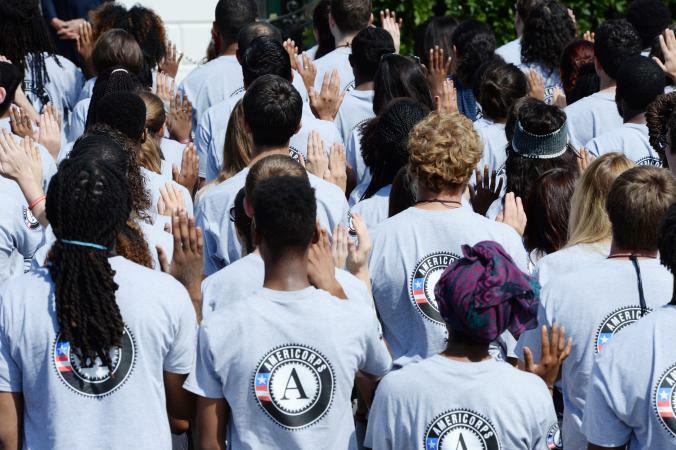 AmeriCorps VISTA is a national service program specifically established by Lyndon Johnson's Economic Opportunity Act of 1964 to help fight poverty in the communities of the United States. It is the domestic version of the Peace Corps. 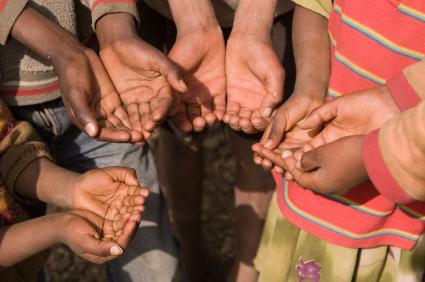 The organization's slogan is "Fight poverty with passion." AmeriCorps VISTA participants sign on to serve for a specific term (full-year or summer placement) at various anti-poverty or other community-focused organizations such as nonprofit organizations or government agencies. At any given time, there are over 5,000 VISTA participants serving in over 1,200 projects throughout the United States. There are a wide variety of AmeriCorps VISTA placement opportunities. Actual placements include things like working with Rebuilding Together, in New Orleans, Louisiana; CareConnect in Boulder, Colorado; and Mobile Baykeeper in Mobile, Alabama. AmeriCorps VISTA focus areas listed in the CNCS 2017 Federal Budget Justification include providing legal services to immigrant children who are not accompanied by adults, helping communities increase their resilience to the impact of disasters and weather extremes, and helping disadvantaged youth prepare for college and career success. VISTA participants receive a number of benefits. For example, they are paid a living allowance, which is paid at no less than 95 percent of the poverty line, during the time they are actively working in the program. They are also eligible to receive an Education Award (EA) at the end of their service period. Since October 2017, the EA has been "$5,920 for full year members and $1,252.91 for Summer Associates." The EA is a voucher that can be used only for future qualified educational experiences or to repay existing federal students loans. Full year members can opt to receive a cash stipend instead of the EA if desired. Its value is around $3,000. The cash stipend is not available to those who participate in the summer-only program. This program is open to those who have a college degree or at least three years of work experience. While not all positions require being able to speak more than one language, being bilingual or multilingual is a benefit for many of the opportunities. In addition, criminal history background checks are required. This is done to ensure that people that members will be working with are protected. Becoming an AmeriCorps VISTA participant requires a detailed application process that is very similar to applying for any other job. Basically, you will fill out a comprehensive application in their system, and then use it to apply to specific opportunities for which you'd like to be considered. Create a profile at My.AmeriCorps.gov. Use the application checklist to gather the information you need to complete your application. The application requires "detailed information about your education, work and volunteer history, references" and more. Fill out the online application, which is required and can only be accessed after you created a profile. Use the 'Advanced Search page' on their website to identify open service opportunities that meet your interests. You can narrow your search to include geographic areas, specific programs, languages required, your skills, your education level, the population with which you would like to work, and more. When you find opportunities you'd like to be considered for, submit your pre-completed application following the instructions provided. Continue submitting for appropriate opportunities until you are selected. You can track your application status online to keep up with the process. If you're looking for a way to make a difference while also earning living expenses and funds to apply to your educational expenses, AmeriCorps VISTA is a wonderful opportunity to consider. If you're ready to get involved, start the application process today.